Over the past decade, plunger lift use has grown drastically; which in turn, has created a boost in oil productivity. Other contributions have included: improved computers and technology, equipment reliability, and other service alternatives. Lease operators can find plunger lifts with simple straightforward arrangements to more complex computer operated options. 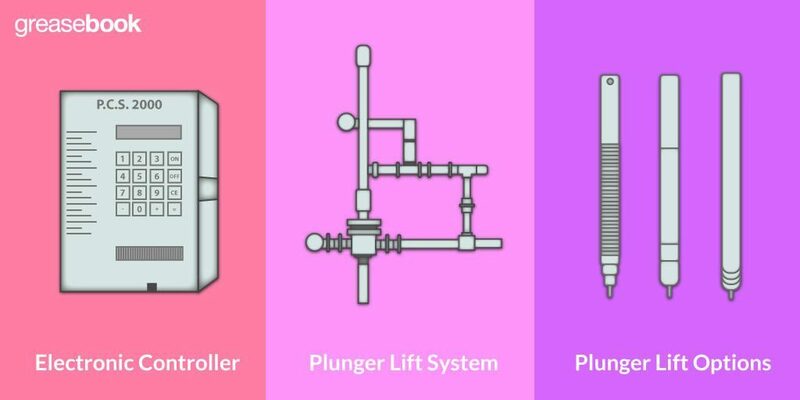 To help understand a little more about these popular devices, check out these plunger lift essentials. One of the most common initial questions about plunger lifts is ‘how do they work?’. While it may seem like a complex system, plunger lifts are pretty straight forward in their operations. On to top of the wellhead there is a wing valve control which closes the flow line to the tank battery, this allows the operator to stop the fluid flow through the tubing to the tank battery. Also on the wellhead is a bumper housing and catcher used to release a free-falling gas lift plunger. 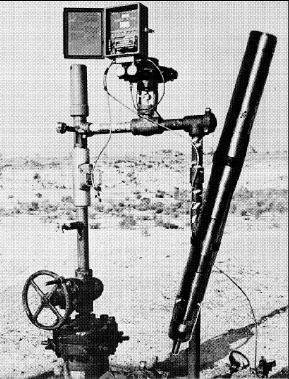 This device uses the wellhead’s natural downward gravity to descend through the tubing. When the valve is open, the plunger allows fluids to pass through as it falls; gravity then continues the plunger’s plummet to the bottom of the well. Once the gas lift plunger hits the bottom of the well, it will come into contact with a footpiece spring, and thus closes the valve. As the increase in downhole pressure steadily persists, it allows the water and oil to gather above the plunger. Then after either a specific tubing pressure or time frame is reached, the controller will open the flow line motor valve; thus allowing the accumulated fluids and gas within the tubing to again flow to the tank battery. The pressure change differences throughout the plunger lift valve typically generate travel speeds of around 500 – 1,000 feet per minute. Each lift will vary in speed depending upon the various options for: bottomhole pressure, choke settings, and fluid loads. The plunger lift moves upward toward the surface fueled by the built-up formation pressure beneath it, and bringing the the fluid located above it as it returns. However, for weak gas wells and/or oil wells, once the plunger arrives at the surface, a magnetically controlled sensor will automatically close the flow line motor valve, and thus conserving formation gas pressure and tubing for the next lift cycle. The catcher (located within the bumper housing) frees the plunger; and the plunger once again begins to fall and thus restarting the entire process again. The process is repeated as often (or as little) as the pressure and settings allow. A Well Servicing Crew – These workers will be utilized to help rig the packer and remove it. They may also help to re-equip the tubing string, install the hold-down, and/or for setting up the rod string. 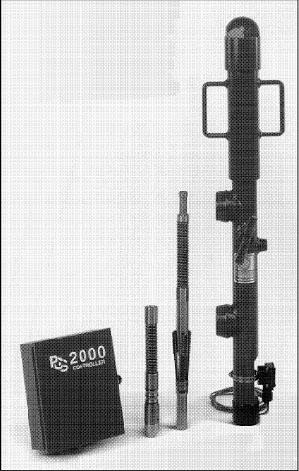 Purchase of Equipment – This includes: the downhole pump, the pumping unit, and string of rods. Position and Install the Pumping Unit – This should be located on the base, and on top of the hole. Supply Power to the Pump – This is typically accomplished by running electricity to the site or by using an engine. 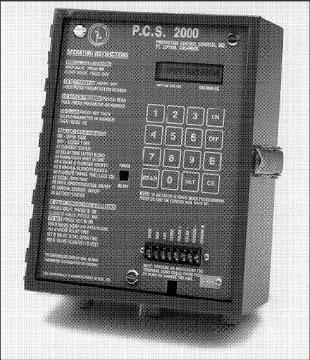 Electrical setups require automatic controls, and use an electric motor; while engine powered pumps usually operate on either stored fuels, or gas from the well. The bumper housing and catcher carry out a variety of functions. For instance, the bumper offers a cushioned bumper to halt the plunger as it reaches the end of its journey and into the housing (where it receives lubrication for the next journey). Once there, the arrival unit will register the plunger has reached its topside destination; and will then either signal the controller, or control panel, to close the flowline valve. Once completed, the lease pumper can then engage the catcher (allowing the plunger to catch the next time it arrives). The pumper can then remove the plunger to inspect, service, or replace the device to get back into operation at lease pumper’s discretion. The majority of controllers (See Figure 4) have the ability to operate with either pressure cycles or time control. Timers can be utilized for specific shut-in times. They can also be used to operate using high/low pressure measurements using a differential pressure switch and the flow line throttle pilot pressure. By decreasing formation gas loss and having this available flexibility, controllers provide the most ideal method for a majority of wells (and lease pumpers). However, it is important to remember when utilizing a plunger system, you should use a gauge ring (with the identical size as the mandrel planning to be used in the plunger lift system) to run down the well. This will help to pinpoint any issues that could arise, preventing the plunger from being able to free-fall within the tubing. When working with a high gas producing well, mechanical pumping units (unlike plunger lift systems) have a tendency for the pump to gas lock; thus preventing the well from producing. As soon as the plunger appears at the bumper housing on the surface, the well’s flow line is shut in, preventing any additional gas accumulation from flowing to the tank battery and gas system. 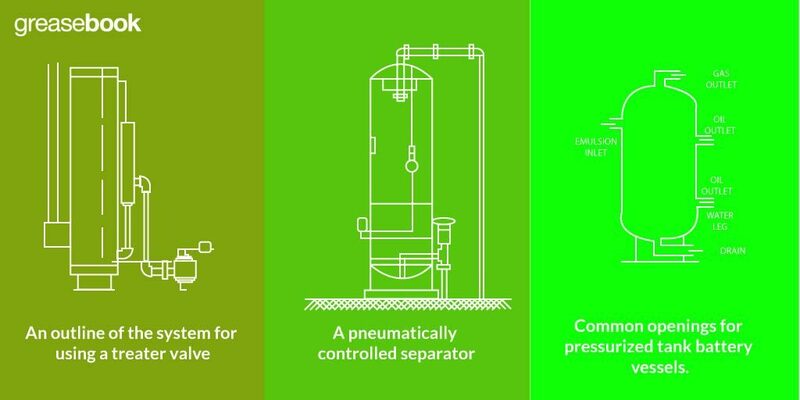 Since the gas pressure is required for the well to continue to produce, conservation of formation gas is essential to the longevity of the well; and is therefore, one of the most outstanding perks of utilizing a plunger lift. Depending upon the oil field, the production may be regulated by the amount of gas produced along with each barrel of oil. Due to this, it is essential to retain as much gas in the reservoir as possible. Plunger lifts are a great option for reducing gas production, and increasing oil allowables; which in turn dramatically extend both the oil production and the life to the reservoir. Plunger lifts have one of the lowest lifting costs out of the various artificial lift systems. This is due to the well self-supplying the gas pressure required for operations; even the more complex electrical system options require very little power, and can easily be supplied using a solar panel. In general, plunger lift systems are very simple and basic to operate; and with new developments in technology, even the more complex systems are becoming easier and easier to operate. Technological advances in electronic miniaturization and personal computers have increased so dramatically, controllers are able to perform job functions almost to the point of making the decisions. 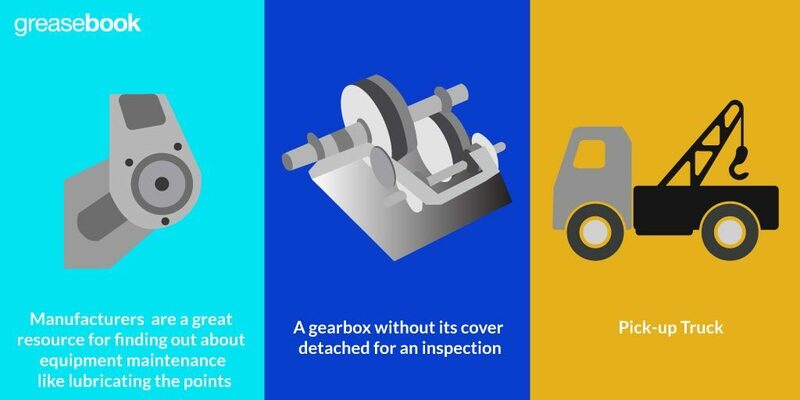 While productivity testing can vary due to a wide variety of parameters, plunger lifts are beneficial in determining the best production parameters to follow. 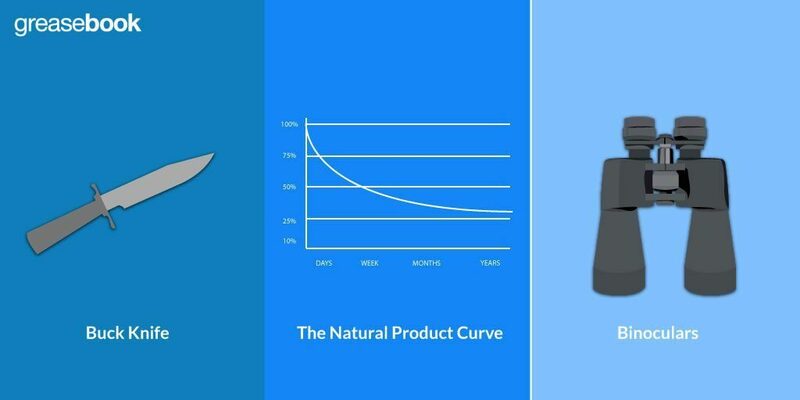 For instance, often times by lowering the amount of fluid raised, and lifting more frequently; productivity can increase. In most situations, plunger systems cost less to install, maintain, and operate than any other type of artificial lift systems. Most plunger lifts permit well flow production even with less than 100 pounds of casing pressure. The plunger remains at the bottom of the well until ample lifting pressure has built up; then a signal is sent through the casing pressure to the surface to open the flow line valve. When the productivity of the well is generated by choke control and lifting pressure, the well flow is minimal to the point where the well barely flows. However, since water is heavier than oil; the gas and oil have a tendency to flow back down to the bottom of the well with the falling water. This water buildup can cause a well to become waterlogged, which requires the well to stop flowing until the water has either been blown or swabbed off. A plunger lift system does not have this water accumulation, as the plunger lifts the water along with the oil during every trip to the surface. During each cycle as the plunger travels within the tubing, the plunger acts as an outstanding wiper for eliminating the paraffin clinging to the tubing. The paraffin vacates the formation suspended in oil; and as the temperature of the wellbore drops, the paraffin emerges from the solution and deposits into the tubing. The plunger is also great for removing any soft scale. Automated controls help to aid in a more precisely controlled pumping time for the well, thus allowing a more energy efficient option, and reducing the amount of lost gas. 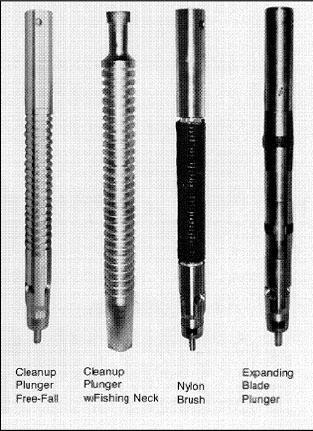 In all, there are five key plunger options: brush, flexible (See Figure 5), metal pad, solid, and wobble washer. 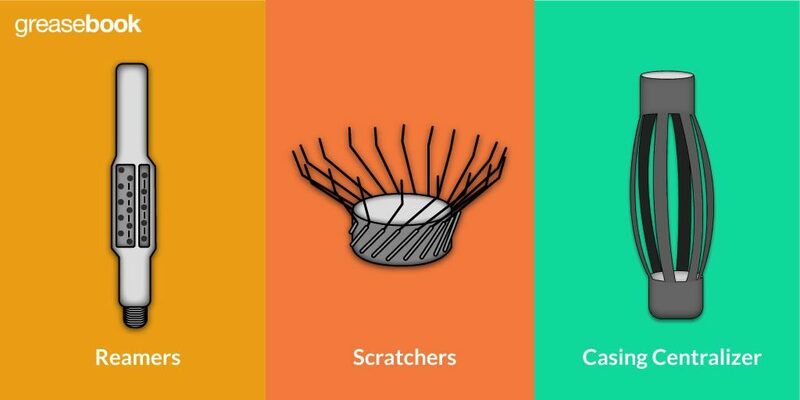 Brush plungers comprise of a brush segment (which depending upon the brush segment, has the possibility of being replaceable) and a mandrel; with the over-sized brush segment (in regards to the internal tubing diameter) creating a sealing mechanism. This type of plunger is a particular good choice for wells subject to tubing imperfections and/or sand flowback. In Figure 5, there are a variety of plunger types pictured. Among these is a cleanup freefall plunger with fishing neck (the fishing neck allows for easier retrieval if the plunger gets stuck in the tubing). This type of plunger is utilized to handle formation sand, frac sand, scale, and other materials. Once the well has cleaned itself, the cleanup plunger is usually replaced by the expanding blade plunger. One of the newest plungers to hit the market, this type of plunger has a flexible mandrel to help with coiled tubing and deviated hole applications. This new feature is available for both articulated cups and blush plungers. Flexible plungers can be found in a wide range of sizes, typically between ¾ inch to 2 ⅞ inch. Often times flexible plungers are used in standard tubing string consisting with crimps (or bends) to help reduce the need for pull tubing. Unlike other types of plungers, metal pad plungers have multiple spring activated metal pads that adapt to fit the internal tubing diameter. This style of plunger can have one or several sets of these pads arranged into a variety of different patterns and designs. When properly sealed, metal pad plungers offer the highest quality mechanical seal. Solid plungers are solid steel cylinders that have either a grooved or smooth surface. When gas tries to travel around the plunger during the upward decent, it will have to have a velocity far greater than both the liquid and plunger load; and as the gas travels along the plunger it wipes the tubing clean of any liquids, helping to diminish liquid fallback. Wobble washer plungers were formulated to keep tubing free of salt, paraffin, and scale. These plungers consist of shifting steel rings or washers fastened along a solid mandrel. As the lift operates, the washers rub the tubing clean, getting rid of all the unwanted products before the possibility of crystallizing. Plunger lift systems can be arranged in a wide variety of ways to meet the needs and wants required for each individual well. By matching the specific components with the proper controller settings for the well conditions, the lease pumper can maximize the overall well efficiency. 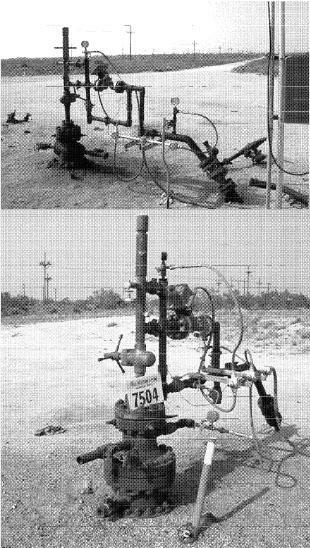 As you can see in Figure 6, just below the oil well bumper housing, arrival unit, and catcher, is a full opening gate valve. This specific design used a solar panel for power (which was located to the right of the image, just out of sight of the picture). The casing valve contains a pressure gauge and a connection supplying pressure to the controller. The line that controls the shut-in of the flow line is located just off the right of the bumper housing. Is your appetite for oil & gas operating knowledge insatiable like ours? 😀 If so, check out this related article, A Lease Pumper’s Basic Guide to Producing Flowing Wells – it will surely pump you up!! !